Let’s Make Star Festival Ornaments! 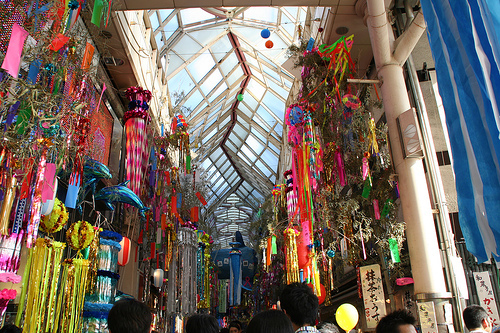 July 7 is Tanabata, in English, Star Festival in Japan! This festival originated more than 2,000 years ago in China, so it’s celebrated in some other countries in Asia as well. In Japan, we write our wishes on tanzaku papers (small strips of papers) and hang them on bamboo branches with colorful ornaments. Just like Christmas trees, Tanabata bamboos are decorated outside or inside of many houses (besides we don’t put gifts underneath), and they give us the feel of summer, which is fun and exciting! If you want experience a piece of Japanese Star Festival, why don’t you make some ornaments with origami papers? This is a video teaching how to make a lantern and a net. 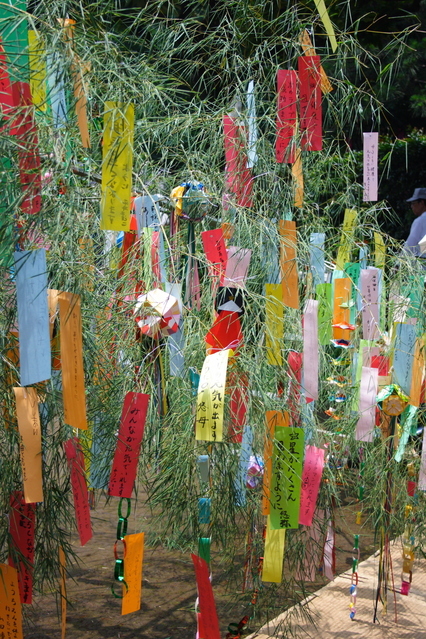 And the link below has 25 Tanabata ornaments’ instructions. Even if you don’t have a bamboo branch, you can decorate them on any kind of branch or just saw together with a string, they will look beautiful!